Dr Jennifer Caudle is a board-certified Family Physician and Assistant Professor at Rowan University School of Osteopathic Medicine. 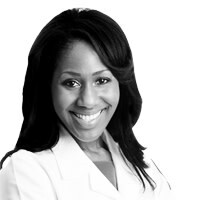 She is an on-air health expert and has appeared on CNN, the Dr Oz Show, Fox 29 and CBS 3 Philly News. Visit her at jennifercaudle.com and follow her @drjencaudle.